Forwarded on behalf of the USDVA; contact information below. There is a very short turn around for this proposal. The response due date is 9/15/2010 @ 3:00 PM. To read more about the proposal log on to: https://www.fbo.gov/, enter VA-246-10-RP-0494 in the block Keyword/Solicitation #, click search and after several seconds Q—VISN Rural Health Care Initiative should appear. When it appears click on it and the next page will display Q—VISN Rural Health Care Initiative. In the left corner is Complete View, click on the first and last changed. This will bring up the solicitation and Amendment 3 which changed the proposal due date to 9/15/2010 @ 3:00PM. ? Debbie Gregory, CEO of Military Connection, The Go To Site, is proud to announce the launch of VAMBOA – VETERAN AND MILITARY BUSINESS OWNERS ASSOCIATION. VAMBOA, a non-profit trade association, will strive to ensure the development, growth and prosperity of Veteran Owned Businesses, Service Disabled Veteran Owned Businesses (SDVOB) and Military Businesses of all sizes. 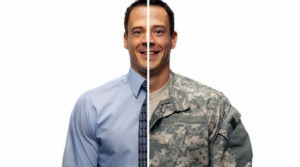 VAMBOA will serve the needs of the veteran and military business communities by uniting veteran and military business owners for collaboration, connections and contracts with both private corporations and government agencies. VAMBOA was founded by Debbie Gregory and Patty DeDominic. Gregory and Military Connection successfully work with and support the military and veteran communities. As the daughter of a service-disabled veteran who served our nation along with his seven brothers, Gregory is committed to doing her share to assist all those who serve, past and present. In 2009, Gregory was named Woman Business Owner of the Year by the National Association of Women Business Owners (NAWBO) for her area. Gregory has received numerous awards, including the Soldier’s Angels Crystal Award of Excellence, the Patriot Award, the Golden Anchor Award and the Veterans Information Gold Web Award. In 2008, Military Connection became a corporate member of the Department of Defense’s America Supports You program and was later named a Top 100 Employment Web Site. MilitaryConnection.com is one of the most comprehensive and respected online directories of resources and information for military, veterans and their families. The site offers thousands of pages of resources and information with something for everyone. MilitaryConnection.com takes pride in its many affiliations with non-profits that serve and support our Armed Forces. As a result of her work with MilitaryConnection.com, Gregory saw the need for a dedicated trade organization to serve the needs of Veteran and Military Business Owners and joined forces with DeDominic. Patty DeDominic is the CEO of DeDominic & Associates, which offers professional services to enterprise builders and other high achievers. She is the former national President of NAWBO, one of the most influential trade associations in the nation. DeDominic brings a wealth of experience leading associations of both small and large businesses DeDominic was awarded the President’s Award from Women Impacting Public Policy (WIPP) and was inducted into the Women’s Business Owners Hall of Fame. DeDominic stated “VAMBOA’s Vet Owned seal symbolizes the talent, dedication, leadership, courage and ingenuity of these special Americans who currently serve or have served in America’s military and have a business, large or small”. VAMBOA offers a multitude of resources and services to its members but does not charge any dues. One major area of focus for VAMBOA is connecting veteran and military business owners with the private sector and corporations that want to use their goods and services. .
For more information on VAMBOA, building success for Veteran and Military Owned Businesses, one connection at a time, please go to www.vamboa.org. You have honorably served our nation. VAMBOA is here to serve you and be your voice. Simi Valley, California (July 15, 2010)—A new non-profit trade association to ensure the development, growth and prosperity of Veteran Owned Businesses, Service Disabled Veteran Owned Businesses (SDVOB) and Military Businesses of all sizes worldwide has been launched under the name of VAMBOA.org, Veteran and Military Business Owners Association. VAMBOA will serve the needs of the veteran and military business communities by uniting veteran and military business owners for collaboration, connections and contracts with both private corporations and government agencies. VAMBOA was founded by Patty DeDominic, CEO of DeDominic & Associates and the former national President of NAWBO, the National Association of Women Business Owners and Debbie Gregory, CEO of MilitaryConnection.com. Patty DeDominic brings a wealth of experience leading associations of large and small businesses. Debbie Gregory has years of successful interaction with the military and veteran communities and is dedicated to those who serve, past and present. One major area of focus for VAMBOA is connecting veteran and military business owners with the private sector and corporations that want to use their goods and services. VAMBOA also provides networking, collaboration, mentoring, education, certification and advocacy. Gregory added, “VAMBOA is proud to have Amgen as one of our first sponsors. Amgen is a company that embraces and supports diversity suppliers. VAMBOA commends Amgen for their support and their efforts to reach out to Veteran and Military Business Owners.” Amgen is also a Gold Sponsor at the 6th Annual National Veteran Small Business Conference & Expo in Las Vegas. VAMBOA’s corporate sponsors will gain visibility to this audience and provide valuable mentorship.